The county of Cheshire, in its broadest, historical sense, has a rich diversity of wildlife, linked to a varied geology and land use. This is an account of a group of strange but fascinating organisms, the slime moulds, which straddle the boundaries between fungi and protozoans. After a short introduction to the biology and ecology of slime moulds, the physical and ecological environment of wider Cheshire is described. The main body of the work is a detailed catalogue of all the species ever recorded in the district. The records date back into the 19th century but are mostly concentrated in the last 40 years, since the author came to Chester. There are more than 90 maps, on a 5 km grid square base, of the commoner species. The author, who is Visiting Professor of Environmental Biology at the University of Chester, has studied slime moulds since 1957 and is a world authority on the group. He has published more than 200 papers on slime moulds and fungi and has produced the standard work on the British and Irish species. He lived in Mold for nearly 40 years but is now retired to the north-west Highlands of Scotland. As shown by Bruce Ing's wonderfully illustrated article in Natur Cymru (No. 41), slime moulds are fascinating and beautiful organisms. Those reading the article will surely have been enthused to go out and search for them and the inclusion of this new book will only enthuse them even more ... This book, which is light enough to take into the field, is a must-have for those studying or embarking on the study of slime moulds in the North Wales area and will also be useful to anyone with an interest in biodiversity. 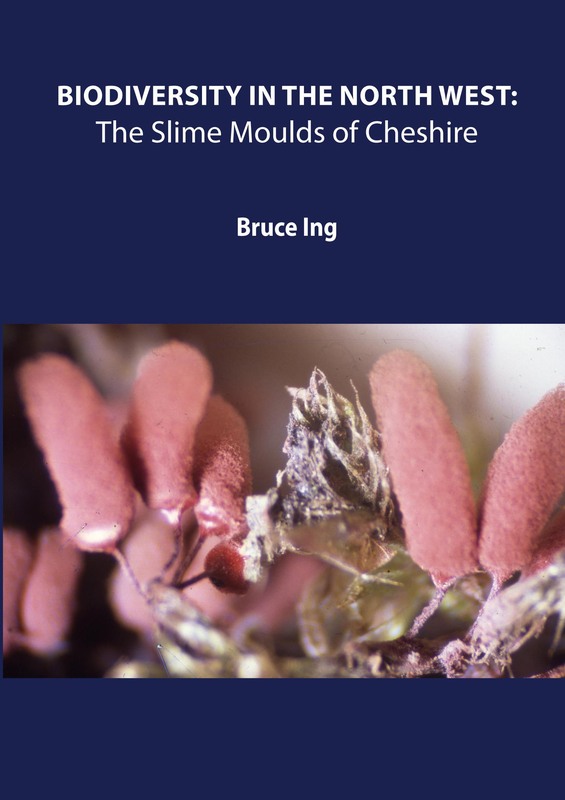 Bruce Ing, Biodiversity in the North West: The Slime Moulds of Cheshire, 2011, ISBN 978-1-905929-91-7, £11.99.